What is Real Honey and What are We Really Buying? & What are We Really Buying? 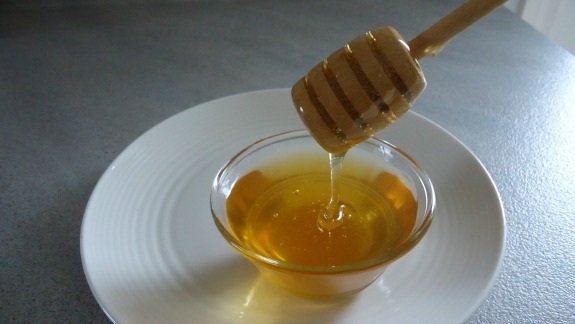 Eating real honey and avoiding the imitation stuff has plenty of health benefits. Some product labels can be deceptive so let's see what we need to look out for when buying this healthy natural sweetener. Yes all the latest facts and test results are in and I must admit when we first heard that 3/4 of all the store bought honey (usually bigger stores) was the imitation stuff we just couldn't believe it and it made us ask ourselves, what have we been eating all this time? The larger supermarkets tend to carry large quantities of imitation honey, as mentioned above about 75% of their stock is the fake stuff. So what is the difference between real and imitation? Yes, real honey must contain bee pollen. In fact the Food & Drug Administration and the WHO (World Health Organization) say that this golden sweetener must contain pollen to be considered real. It's no wonder that so many consumers were shocked when the results of those studies revealed that a staggering 75% of all the honey sold in larger grocery stores had no bee pollen in them at all. That is when so many of us stared to ponder the question, what on earth are we eating then? The fake stuff can be made of several different ingredients such as corn syrup, white sugar or a variety of sweeteners. Other ingredients can then be added as well such as dyes to achieve that beautiful golden color. We now also know that the mock brands do not contain any bee pollen at all or in a little percentage some contain small amounts of bee pollen. I like to call these products mixed batches as they mix a tiny amount of the good stuff with loads of the man made stuff just to keep a little of the pollen in it. So is imitation honey bad for us? It's definitely not good for us. One of the biggest downfalls is that it doesn't contain bee pollen and that's really the whole purpose of enjoying this natural sweetener as the pollen provides us with some health benefits. So without it we are basically eating a sugary stimulate that is filling us with useless calories but offering us zero nutrition. Sadly that is not the biggest problem. Much of the imitation honey that is sold in the stores originates from China which may also contain harmful chemicals and antibiotics. In this case even plain white sugar is a better and safer alternative even though it contains empty calories it still offers a safe way to sweeten things up. Why is the pollen being stripped from the honey? This question is easily answered and it is done to hide where the honey originates from. You see the bee pollen is being removed from the honey by using what is called an ultra-filtering technique then no one will ever know where the honey actually came from in the first place. The only way to tell of origin is by using the pollen. No pollen means never knowing where it came from. This way small amounts of real and large amounts of fake can be mixed together and no one will know any differently. Also when honey is ultra-filtered not only does it remove the pollen that is beneficial (reducing the quality of the honey) but it is also an extra cost for the manufacturer. But the imitation honey that comes from Chinese is so cheap that the cost of ultra-filtering still makes it worthwhile. Even if a product contains imitation, diluted or mixed honey the labels may still contain the words "pure" or "natural". This seems to be a marketing loop hole that for some reason has still been overlooked. Since we can't trust these labels we may have to verify the purity of the honey we purchase on our own to see if they are authentic. Click here and check out this great web site to help you check the purity of your honey. So Why Produce Imitation Honey? As consumers we demand to purchase products cheaper and cheaper, that is just the way of the world. So to cut prices companies have been importing cheaper ingredients from places like China. But there are many people who are willing to pay a little extra to enjoy real honey, but this brings us to the second reason. The reality is we cannot produce enough honey that we the people on this earth consume, so again if these companies want to keep selling the stuff they need to produce lots of imitation honey to keep up with consumer demands. This is where the small farms can really be your savior. The testing of small farms, local farmers markets and natural food stores have all been showing positive results in the sale of real honey that contain lots of beneficial bee pollen. Also organic honey shows to contain lots of bee pollen, yes even the ones sold in the larger supermarkets. So if you like to indulge with the true taste and benefits of real honey it may just take a little extra effort making sure we get the good stuff onto our tables.